Southern Texas is in the United States Department of Agriculture (USDA) Plant Hardiness Zones 10 and 11. This means that temperatures in these parts of the state do not drop below freezing in the winter. Many tropical plants can survive in these climates. However, tropical plants in some parts of southern Texas may need irrigation to compensate for unusually dry periods. You will need to grow tropical plants in colder parts of Texas as potted houseplants. Traveler’s palms take their name from their cup shaped, large leaf bases that can hold as much as a cup of water. When opened, this water could quench the thirst of a traveler. Traveler’s palms grow to 30 feet tall in areas that are warmer than USDA hardiness zone 10. These plants, native to Madagascar, grow in a similar fashion to banana trees and produce small, white flowers. Usually pollinated by lemurs, if you pollinate these by hand, they produce bright blue seed capsules. These palms need full sun and rich soil that drains well. Keep these plants protected. High winds can tear the leaves. White birds of paradise, native to South Africa, are larger plants related to smaller and more colorful birds of paradise. Very similar in size and appearance to the traveler’s palm, the white bird of paradise also grows to 30 feet tall and is suitable to USDA zone 10. In fact, it can survive in zone 9b, making it suitable for areas in Texas where tropical plants usually do not thrive. The traveler’s palm and the white bird of paradise are easy to tell apart. Look for the cup shaped leaf base. If the leaf has this large base, it is a traveler’s palm. If the base is not cup shaped, the tree is a white bird of paradise. The flowers on the white bird of paradise are larger, 6 to 12 inches long, and shaped like birds. Chinese hibiscus is a tropical plant that grows well in warmer parts of Texas. However, because southern Texas can, on rare occasions, drop below freezing. You will need to protect this plant if one of the rare freezes is predicted. One way to effectively grow hibiscus in all parts of Texas is as a potted plant. 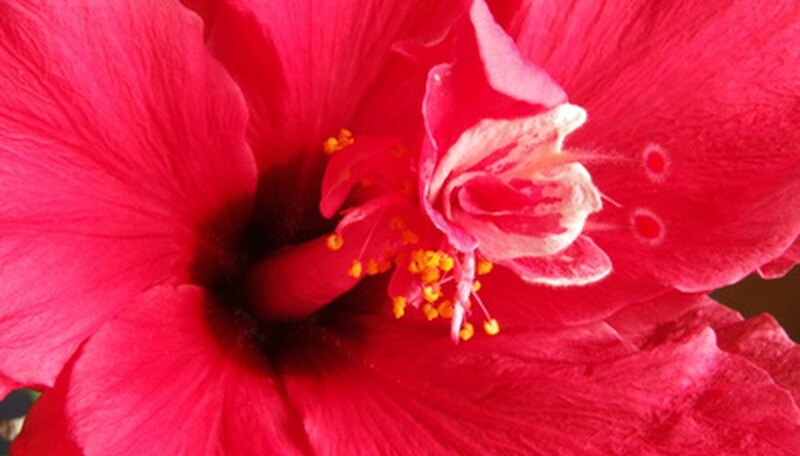 By growing hibiscus in pots, you can bring them in if freezing temperatures are forecast. Plant Chinese hibiscus in full sun with rich soil that drains well.